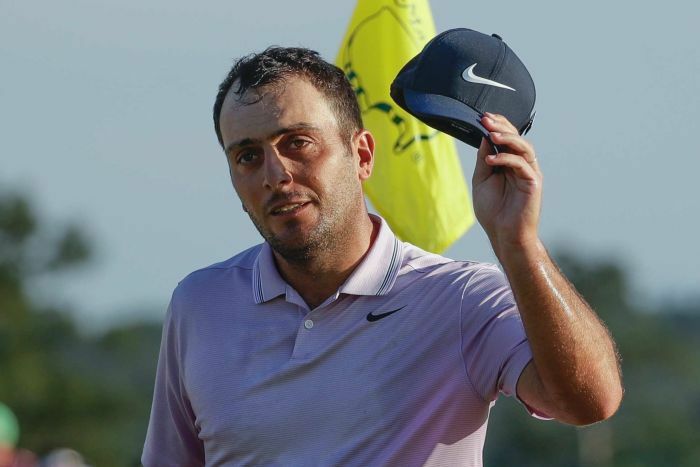 Francesco Molinari blocked out the buzz from Tiger Woods charging up the US Masters leaderboard and produced solid golf that looks spectacular only on the scorecard, while Aussies Adam Scott and Jason Day lost ground on a dramatic penultimate day at Augusta National. Molinari played bogey-free for the second straight round at Augusta, and took advantage of the rain-softened course for a 6-under 66, giving the British Open champion a two-shot lead on 13-under going into a Sunday like no other at the Masters. Scott shot an even-par 72 and Day a 1-over 73. 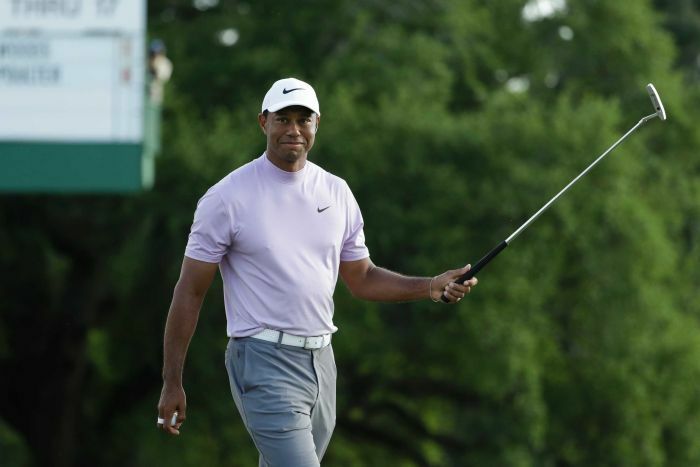 Woods made three straight birdies on the front and finished with three birdies over his last six holes for a 67, his best score at the Masters since the final round in 2011. Joining them will be Tony Finau, playing this year on two good ankles after a suffering a gruesome, albeit self-inflicted injury a year ago. “Obviously, he’s playing great,” Molinari said of Woods. “But a lot of guys are playing great. I wish I only had to worry about him. 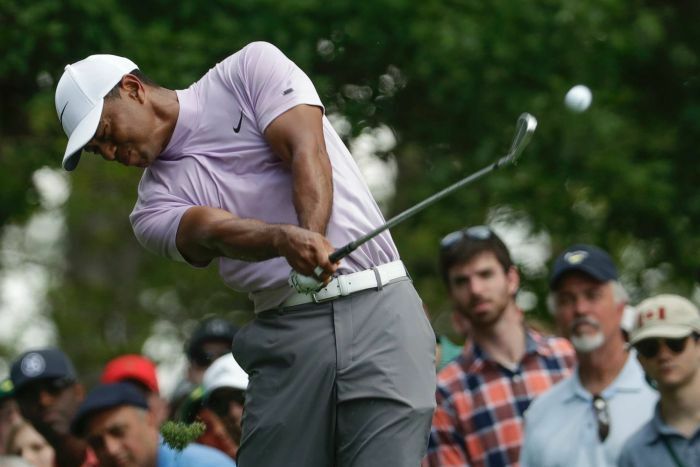 “It’s been a while since I’ve been in contention here,” Woods said. He was paired with him in the final round of the British Open at Carnoustie last year, where Woods briefly took the lead and the Italian never flinched, playing bogey-free to capture his first major. This is where Woods first captured the attention of the sporting public when he set 20 records in winning the first of his four green jackets. This is the gallery that has longed to see him recapture the past, especially after four back surgeries that only two years ago left him hobbling up the stairs, wondering if he would play again. Woods — showing no ill effects from yesterday’s inadvertent interaction with a security guard — looked good as new, even for a 43-year-old who hasn’t won a major in nearly 11 years. Not since 2013 in the British Open as Muirfield has he been within two shots of the lead. When he saved par from a bunker on the 18th hole, it was his 43rd consecutive hole without a bogey — something no person has achieved at Augusta in over 25 years. That streak started on the 11th hole on Thursday, and it is the only bogey he has made all week. “I hit the ball a little less well than yesterday,” Molinari said. “But I holed some really good putts at 4 and 5 to save par. No one is as excited about this final round as Finau, who last year grotesquely turned his ankle celebrating a hole-in-one in the Par 3 Tournament, and still managed to tie for 10th. He nearly holed a 4-iron on the par-5 eighth on his way to a record-tying 30 on the front nine that sent him to his 64. 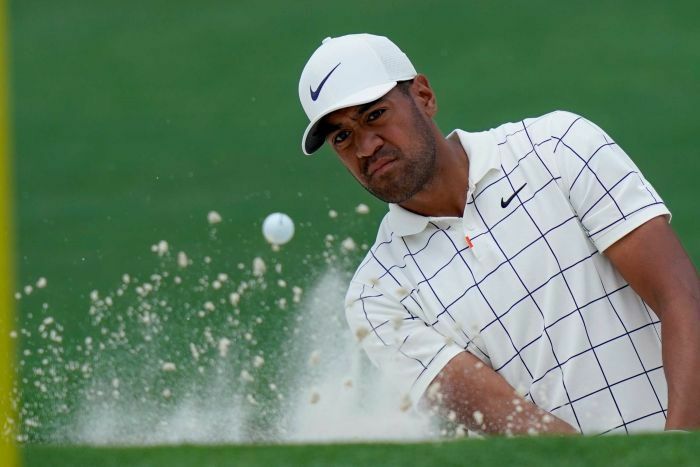 Because of the change in starting times, Finau gets to play alongside Woods — his golfing hero — not only at the last group in a major, but at the Masters. “As a kid, I always wanted to compete against him and have the opportunity to … I’ve dreamed of playing in the final group with him in a major championship,” he said. Webb Simpson, who also shot 64, joined Ian Poulter (68) at 9-under 207, four shots behind and very much in the picture. “The greens are a little bit slower than we’re used to,” Koepka said in response to those four bogeys. Koepka, who won the US PGA amidst a cacophonic reception from a viewing gallery desperate for a miracle from Woods, said focusing on himself will be key in the final round. “I just need to focus on myself,” the three-time major winner said.